Wontons, Irregularly Shaped Pasta or Swallowing Clouds? An article on wontons with all the information you will ever need to make, fold, cook, store and enjoy this little parcel of delight. Wonton is the transliteration of a Cantonese name: 云吞 (Yun Tun). Yun Tun has a poetic meaning: swallowing clouds. The wontons resemble clouds floating when they are cooked and served in soups. In China, it is also known as 馄饨 (Hun Tun), and the meaning is much more mundane: irregularly shaped pasta. 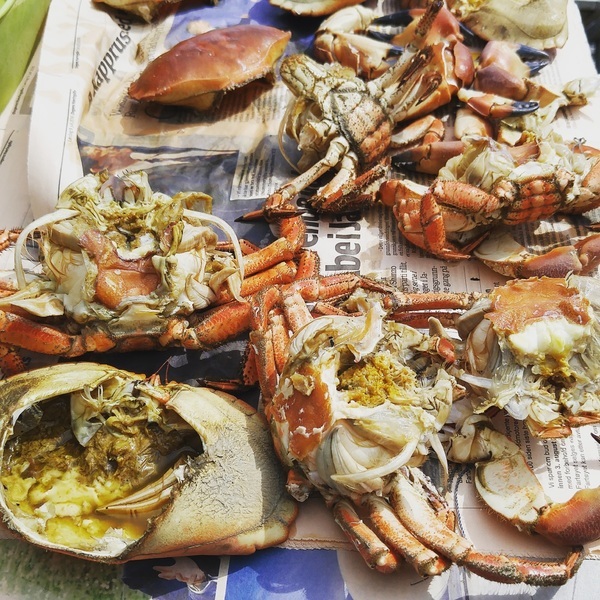 Other regional names are Szechuan's 四川抄手 (Si Chuan Chao Shou) and Taiwan's 台湾扁食 (Tai Wan Bian Shi). Chinese cuisine has a lot of dumplings and buns. There is the famous shrimp dumpling 虾饺 (Xia Jiao / har gow), the rice dumplings 粽子 (Zong Zi), the plain steamed buns 馒头 (Man Tou), the pot stickers 锅贴 (Guo Tie), and more. Wonton is only one of many but this little parcel of culinary delight enjoys an international reputation and it owes its global fame to the Cantonese (a dialect group originating from Guang Zhou province and Hong Kong). There is even a famous poem about it -- Folding Wontons In by Abraham Chang. An uncooked wonton wrapper is quite firm and stretchy making it easy to fold. It turns silky and soft when it is boiled and crispy when it is fried or baked. Very versatile. They are readily available in supermarkets although you can make the wrappers from scratch. There are many different ways to wrap wontons. I documented 10 different wonton folding styles. There are step-by-step instructions, before and after pictures, and video clips. The charm of the wonton lies in the filling. The delightful burst of flavour and juiciness when one bites into it. Fillings play a very important role. Not only must the ingredients be fresh, they must be well-mixed. The most popular ingredient is ground pork. However, ground beef, chicken, prawns, fish and tofu are also good ingredients. If you are going to use beef, chicken, or lamb, you might want to introduce a little fat so that the filling won't be dry. Chinese chefs usually add fatty pork to increase juiciness (now you know the secret). Here are some recipes for wonton fillings. I like my wontons in soup where the skin is boiled till silky smooth. I love the feeling of the wonton skin in my mouth and then the burst of juicy flavour when I bite into the filling. A well-made wonton soup can enhance the flavour of the entire dish. It is usually a lightly flavoured broth or consomme. Learn how to make a mean wonton soup with these tips and recipes. Many wonton recipes I came across have instructions to cook wontons straight in the soups to be served. Don't do that! Imagine all your hard work wrapping the beautiful wontons, and making a good clear flavorsome broth only to be sabotaged by boiling the wontons in the soup. 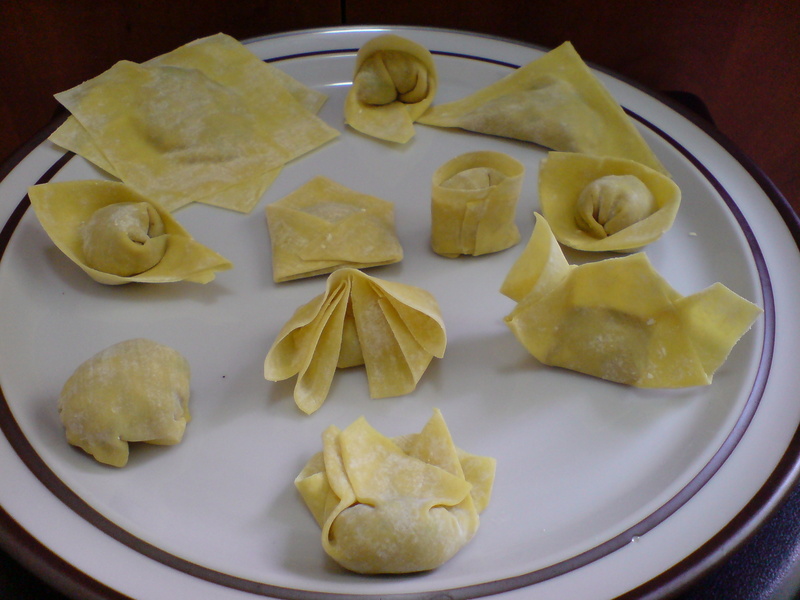 Wonton wrappers are covered with cornflour to prevent them from sticking together. If they are cooked directly in the soup, the flour will affect the flavour and texture of the soup. If you cook the wontons in the soup, there is a tendency to leave the wontons floating in the soup before serving. The wontons may turn mushy. When it is time to serve, pour the soup over the won tons and garnish as desired. Throw in a few drops of sesame seed oil & white pepper before serving. Avoid boiling wontons too early. Cooked wonton skins become rubbery and dry if left standing too long. Wonton soup is fairly straight forward. Make the wontons, make the soup and serve them together, garnished with some chopped spring onion or coriander leaves. The wontons are served in a mixture of chilli oil, black vinegar and peppercorn. See Chili Oil Wonton 红油抄手 (Hong You Chao Shou). It's super addictive. Wonton is found in one of Hong Kong's most famous street food: the pork wonton noodle 叉烧云吞面 (Cha Shao Yun Tun Mian). The Chinese pork wonton noodle is also a common hawker fare in Singapore and Malaysia. It is typically made up of egg noodles, wontons, and barbecued pork / char siew 叉烧 (Cha Shao).The Hong Kong version is a noodle soup while the Singapore and Malaysia versions are noodles served dry with pickled green chilli. You can find both versions easily in Singapore's food centres. It is interesting to note how different the two dishes look and taste even though they bear the same name. I have almost never made wonton noodle soup myself. The best can be had for a couple of dollars and a short walk away. So, I have never had the need to make my own wonton noodle soup from scratch. If you are interested to learn how to make this at home, check out for the dry version and for the Hong Kong soup version. Deep fried wontons make great party food. They are crispy, light, easy to eat and irresistible. Crispy wontons has gotten a bad rap because many do not taste all that great. All the more reason to make your own and wow your friends. Instead of boiling them, heat up a wok of oil or fire up your deep fryer and fry them till golden brown and crisp. Serve them with a dip. The simplest would be a little sweet chilli sauce. I always find the Maggi bottled sweet chilli sauce quite handy at home. When I am lazy, I just shake some out. Chinese recipes for wontons almost always assume you are cooking for a family party, so the amount of ingredients can be excessive. If you are only thinking of making a dozen or so, consider downsizing the quantity specified. Arrange your extra wontons on sheets of baking paper, 1 layer per sheet. Do not stack! Frozen wontons cannot be thawed as the wonton skins will go mushy. 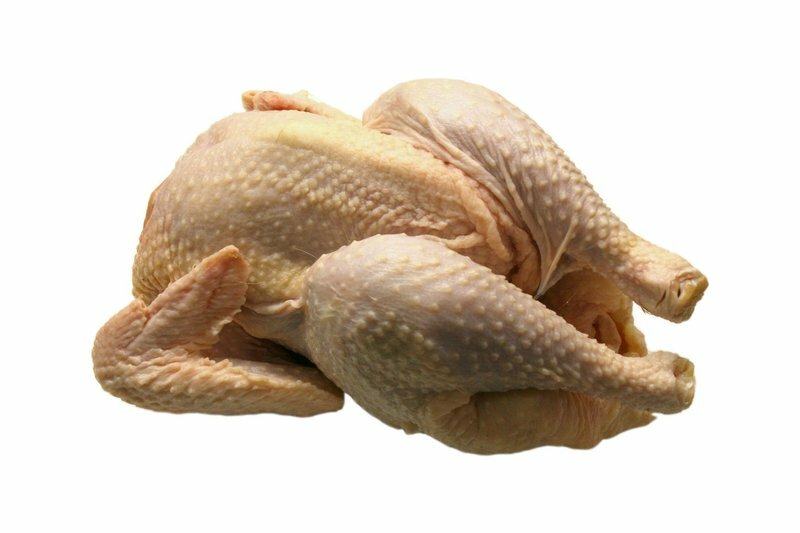 If they cannot be thawed, they cannot be fried. Only boiled or steamed. When I was younger, making wontons is a family affair. Granny will mix up a big batch of filling and we will sit around wrapping. It was great fun. We made a lot of noise as well as wontons. I had a few cook-and-eat parties while studying in Melbourne: steamboat, laksa night-out and wontons. Getting together to cook up a storm is good fun and a great way to bond with friends. Wontons are easy to make and cook together. Get together to make it. Then, boil it, bake it, or fry it. Finally, eat it over rounds of games and sharing.